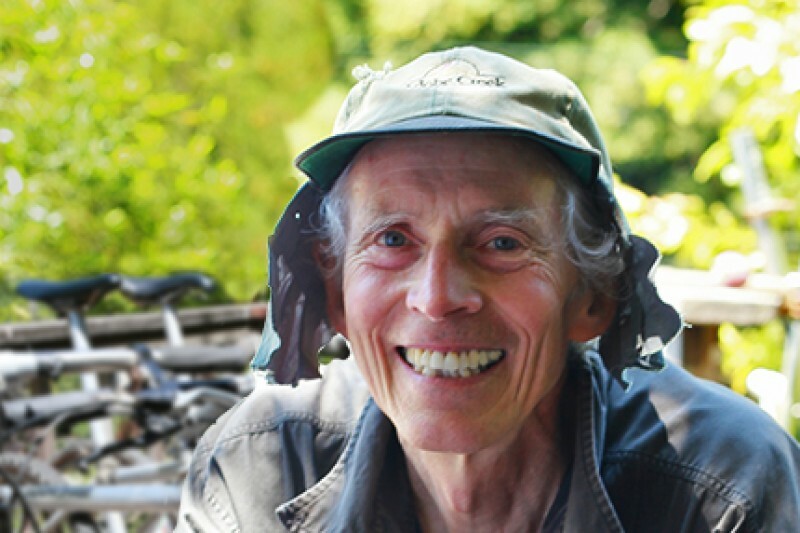 Charlie Cunningham is one of the early MTB pioneers, he started riding off road on modified 10 speed road bikes, preferring the nimbleness and gear selection abilities over the balloon tyred bikes that were popular at the time. When the first wide 26″ rims came out he he designed and built his first mountain bike. finishing it in 1979. It was an experiment with lightweight heat treated 6061 aluminum tubing and purpose specific brakes, forks and hubs of his design. Charlie was inducted into the Mountain Bike Hall of Fame in 1988, its first year and his first bike resides in the Museum in Fairfax, California. The town is at the the foot of Mount Tamalpais, where Charlie first started riding. In 1982 he, Steve Potts and Mark Slate formed Wilderness Trail Bikes, or WTB. Increasing demand and per-unit price advantages had led the three to form WTB to produce components for the new and fast-growing sport of mountain biking in the mountains of Marin and to market the components that they were producing. Charlie was the man behind the roller cam brake and the greaseguard headset, he also helped identify fundamental tread design principles needed for good-performing mountain bike tyres. He is married to Jacquie Phelan, the first female inductee of the Mountain Bike Hall of Fame and three time winner of the National Off-Road Bicycle Association championships. In August Charlie had a bike accident, he suffered broken bones, bruises, and trauma to his head. At the time, he didn’t feel his head injury was significant. Unfortunately, six weeks later, the head injury manifested into a subdural hematoma, a life threatening condition that resulted in emergency brain surgery. His friends have set up a Go Fund Me page to help with his medical expenses, see here, so if you can afford to a donation would be appreciated.